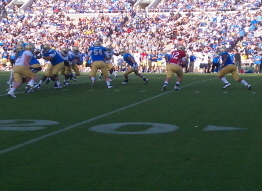 Jim Mora not fazed by Steven Manfro’s special teams miscues. Jim Mora and his Bruin gridders improved to 5-2 on the season and 2-2 in conference play after Saturday’s 21-14, PAC-12 win over the Utah Utes at the Rose Bowl. To continue reading story click here for link. 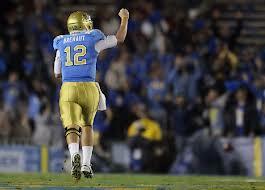 The Bruins will focus on Brett Hundley (17) at QB. Prior to comparing off-campus murder statistics on a local radio show, new UCLA head football coach Jim Mora’s main focus was getting his Bruins up to speed on his spread passing offense. Brehaut content picking football over baseball. 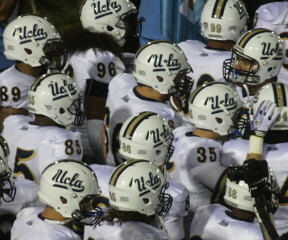 UCLA quarterback Richard Brehaut made a controversial decision when the 2010 football season ended. He decided to also play for the Bruins baseball team immediately after the gridiron season getting then coach Rick Neuheisels blessing as long as football came first. To continue reading this story click here for link. 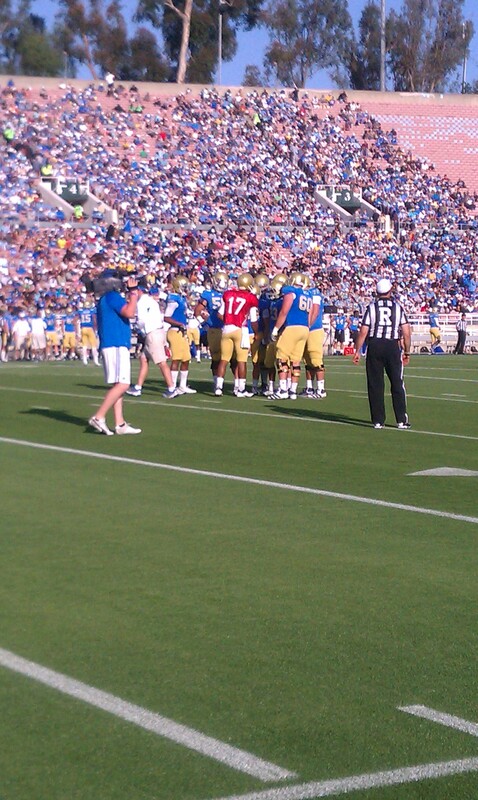 Richard Brehaut (12) among a quartet of Bruin QBs that looked sharp in UCLA spring game. UCLA quarterbacks were in a passing fancy during the Bruins annual spring football game Saturday at the Rose Bowl in Pasadena. A crowd estimated at around 13,000 saw Bruin signal callers combine for six touchdown tosses. Bruins Mora has big impact in first 2 months. 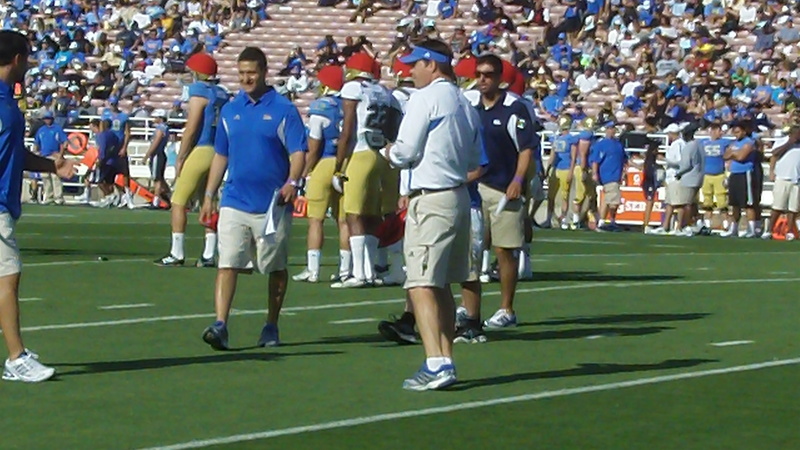 New UCLA head football coach Jim Mora Jr. has been busy his first two months in Westwood. Click here for my story on examiner.com. Mora’s impact evident in first 2 months on the job. Bruins future looks bright with new coach Jim Mora. It’s been a two-month whirlwind for new Bruins head football coach Jim Mora Jr. Since being hired December 10th to replace Rick Neuheisel, Mora’s named his coaching staff and turned in one of the best recruiting classes in the country.